28 april 2016 / aartjan	/ Reageren? Prince was my hero. A true star, a great musician and a groundbreaking artist. 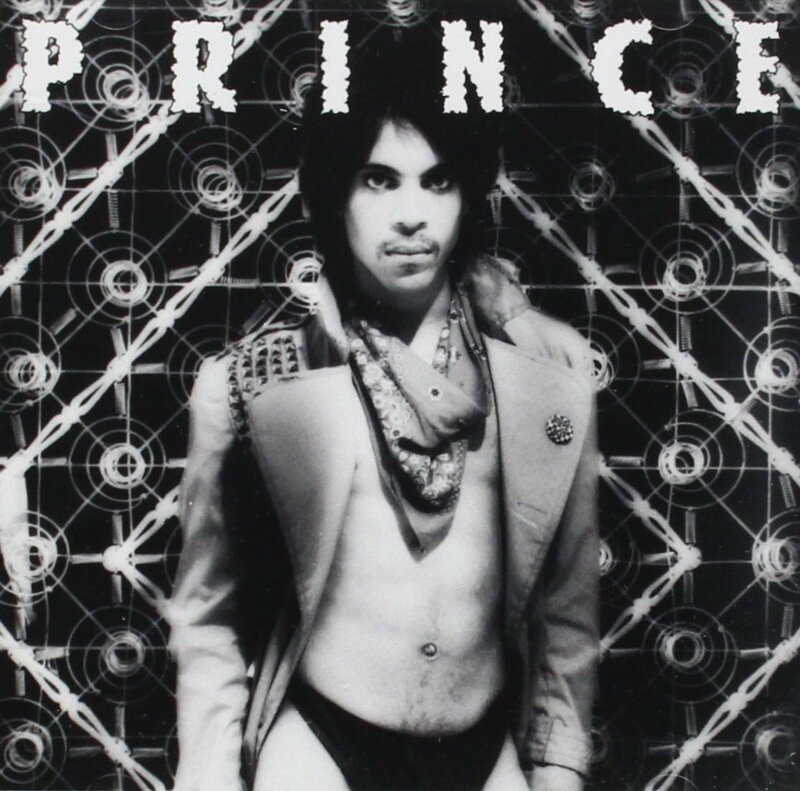 But in todays ears, the classic Prince albums from 1978-1989 all sound terribly thin. This lasted for 12 albums, and 12 years. There were never any Prince remasters released. That’s sad. And strange. Didn’t we notice? Why can’t I remember it didn’t sound good? With that sound, how could the hits be that big? Could it be that Radio rescued it all, with all their expensive equipment? On vinyl it sounds better, why? But other music from that time sounds great, so what happened here? From Graffiti Bridge on all newer Prince albums sound superb. So: who fucked it up then? Was it Warner, were they incompetent? Was the bad sound one of the reasons that Prince broke up with Warner? So many questions… But I found one answer. Being a designer / web nerd I’m able to dive into digital possibilities and software solutions. So what I did is try out some Digital Audio Mastering. Not very difficult, as it turned out to be – I’ve recorded some audio stuff before. Mastering seems to be mostly about Equalizing, some Limiting and just a little Compression. For these classic Prince albums, that was all it took. Now they sound incredibly good again! I can’t share these remasters of course – there are laws against that. But Warner might release their Prince remasters soon, as they promised long time ago. UPDATE: Purple Rain has been remastered in 2015, but expect nothing spectacular. The old vinyl version still sounds better. No need to wait for Warner. You can do it yourself. You only need some audio-software, like iZotope Ozone, which is super-high end stuff, or any software that can do EQ, limiting and compressing. There’s even free software like Audacity. 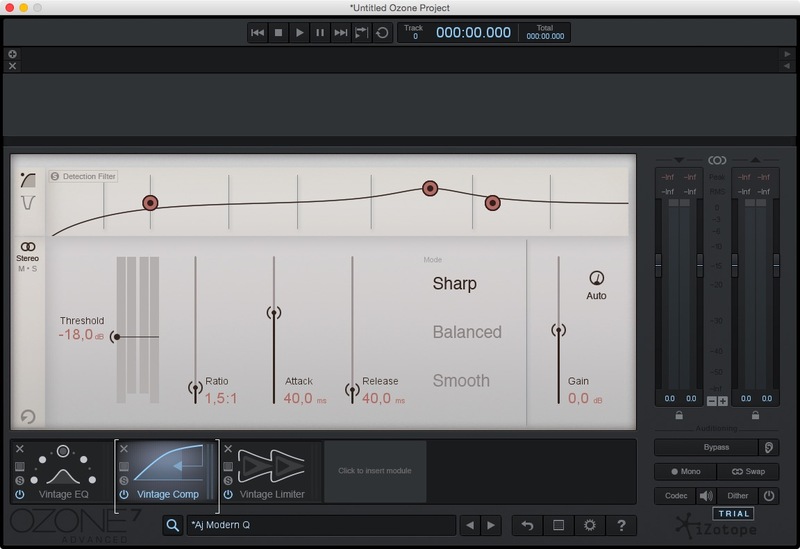 Pump up the bass using EQ, apply a limiter and a little compression. Just until it sounds right, like other modern music. You won’t believe it! Never heard Prince sounding so good before. 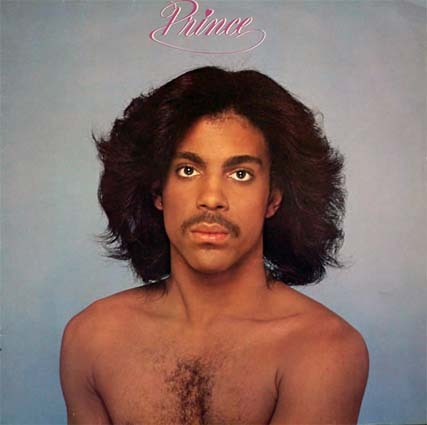 Even the oldest albums – For You (1978), Prince (1979), Controversy – or Purple Rain, Lovesexy and even Batman. They all come to life like never before. While you’re at it, don’t forget the unknown albums, like his jazz album Xpectation (with Candy Dulfer), Dream Factory (the unreleased Sign O the Times-version) or Exodus. And Madhouse! The source must be high quality, preferably 24 bit. In Prince’s case, I think vinyl 24 bit versions are best to start with. If the source is not High Quality you will never get it right, because you will also enlarge / blow up the bad stuff. But even then, amazing things are possible. If a track is too much Compressed and Limited (like most modern music), then there’s no way to UN-compress or UN-limit. The most terrible one is Metallica’s Death Magnetic: impossible to get right again. There is however a Guitar Hero III rip version of that same album that’s way better, less compressed. Compare the sound at the same perceptive volume. There’s this button (an Ear icon, next to Bypass) to match the effective gain. Although you have to “fill the signal” with some limiting and compression for optimal quality, don’t overdo it. Modern music often suffers from this loudness war. Top image: Green Day CD with way too much loudness. Below: the original music, very very loud but good. To find out how LOUD a good signal can be, listen to other good sounding modern stuff like Daft Punk’s Random Access Memories. Even though that one is also in the red for Dynamic Range. You can check the Dynamic Range of your favorite albums on dr.loudness-war.info. A great site to compare different versions / remasters. Take a long rest and listen again. Exciters, Maximizers, Vintage tape etc: they are all fun but not really necessary. EQ and some limiting basically do the trick. And maybe just a little compression. 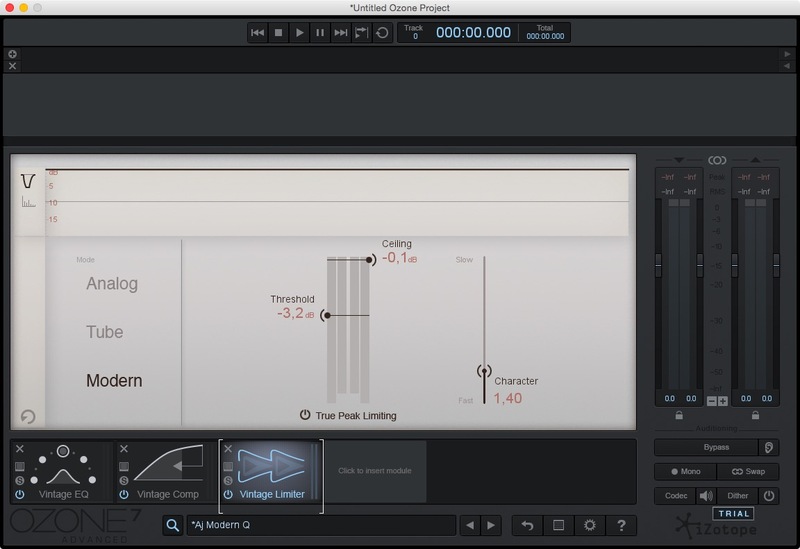 Limiters, EQ’s and compressors can all sound very different. Try different ones. The limiter is usually the last one in the chain. EQ before compressor if you Cut frequencies, but after the compressor if you Boost frequencies. 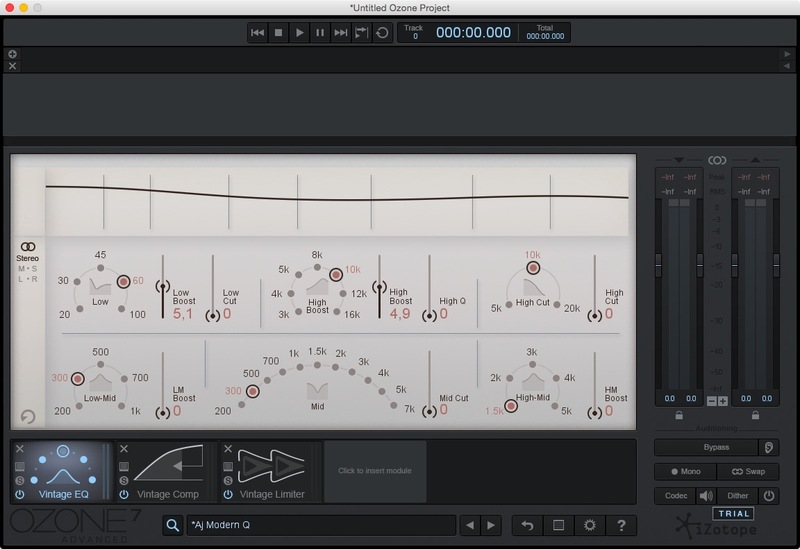 A remaster of a remaster will deteriorate quickly, so do all your mastering in one pass. If it is not right, do it again from scratch. A common mistake for CD’s was the RIAA curve. This curve was needed because vinyl cannot contain a lot of bass or loud signals. When released on CD without RIAA compensation, it would sound terribly thin. Compression is a confusing word. It can refer to MP3-compression (or OGG, AAC, WMA etc ), that makes the files smaller, but lowers the quality slightly. Compression can also be lossless (FLAC, Wav, APE, ALAC). But a compressor as a mastering effect or instrument module is different. Soft sounds are made louder, loud sounds are cut off. Modern music is often too “compressed” in this way. Preset Compressor. Although it would even be better to move the Compressor to the left BEFORE the EQ, because the EQ is a boost in this case. Preset Limiter. Last one in the chain. More important than Compressor.